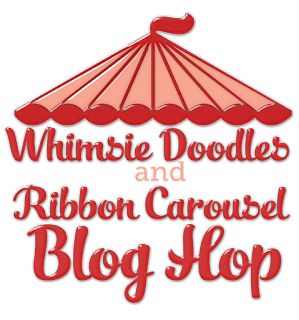 We will be helping to show off some of the amazing digi stamps AND some ribbon and twine from the Ribbon Carousel, of course! 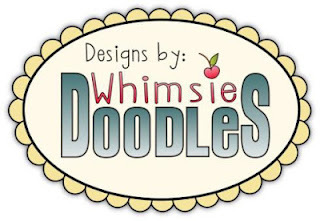 Whimsie Doodles is so excited to be blog hopping with the RC! In March of 2009 Melyssa Connolly, artist and owner, began turning her whimsical hand-drawn images into digital files for sale online. Whimsie Doodles' digital stamp line features images that range from cute little boys and girls, to punny stuff, and everything in-between. We enjoy sharing lots of samples on our company blog, where we also post challenges and tutorials. We are huge fans of Melyssa here at the RCC! And can you guess why? Aside from the fabulous designs and amazing artwork from the Whimsie Doodles team, Melyssa is the designer of the carousel in our previous logo! 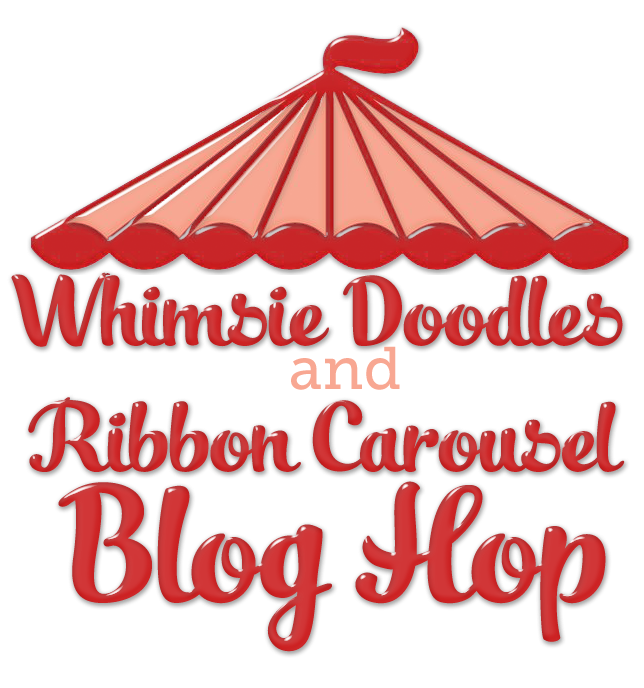 Hop along with us today and leave some blog love for our Ribbon Carousel Crewmates and the Whimsie Doodle designers to be eligible to win one of the 2 prizes up for grabs! We'll select 2 random commenters from 2 randomly selected designer blog, so be sure to spread the love around! 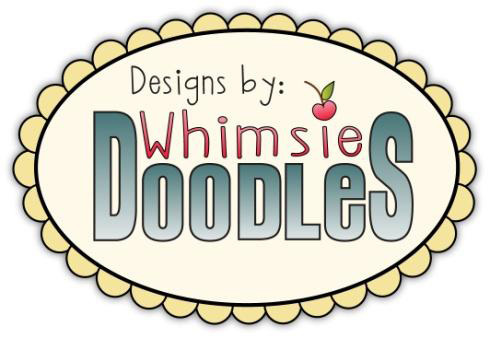 The Whimsie Doodles prize is a $25 Gift Certificate to the Whimsie Doodles store, and the RC prize is a $25 Gift Certificate to the RC store! leah secret was coloured with Copic markers, the papers are from a Kaiser Kraft paper pad. The gorgeous ribbon was threaded through the dotted border by using a ribbon hole punch by EK. Precious image and card! Love her polkadot dress! just too sweet, that ribbon is absolutely perfect for this little girl and your card! Beautiful card and oh my, that's the cutest little girl! Cute, sweet, adorable!!! Love the image and your coloring! Fabulous card! TFS! Such a sweet card Jak!! Hop over and see me sometime. Too stinking cute Jak! The coloring looks fabulous (as always!) and I love the laced ribbon & tag... adorable!! This is such a sweet image Jak & a lovely card as usual! Love the ticket sentiment...you didn't mention where it is from. you made a beautiful card..
LOVE THIS!!!! Funny i just used the same ribbon on a card for tomorrow! I love how you laced it through the dp and that ticket stacked is awesome! What a sweet image! Your coloring skills really rock! Thanks for sharing! Awww, this is the sweetest image. Beautiful coloring!! So cute - love the woven ribbon! Such a sweet card, love the image and your selection of colors and papers! I just got through 3 blogs and I am itching to use my watercolor pencils again! Love the threaded ribbon and the image is so cute! Your use of the ribbon adds a very nice detail! She is adorable and the colours are beautiful. I would love just to stamp and colour and put into a frame on my wall just to look at her. I love the layout of the card but that image is so cute. Lovely. Fabulous card. Beautifully colored image. Pat K.
Gorgeous coloring and love the distressed ticket! ADorable card! This image is adorable - and, of course, you've colored it perfectly! I love how you colored her hair. Great card. What a very sweet card, and I love how you used the ribbon! this is fab as usual.... reminds me of my friend Leah who is good at keeping secrets too! OHHHH so very cute. I love the lady bug colors. Wonderful job. Just so adorable!! One of my favorite images and you have colored her beautifully~! This is so adorable. I adore this sweet image and your coloring is fantastic as is the ribbon. Aww, what a sweet card. Wonderful coloring. Such bright and cheery colors and love the slotted ribbon. Such a cute card! I love how you matched the ribbon perfectly to the outfit and wove it into the cs. OMG she is soooo darn Adorable! love your card too!!! hugs!! Awww your card is just darling! I love the papers and layering you did for this. Amazing work! Such wonderful coloring! Love the dots!